We know a lot about Junghans and their vintage military watches but have you seen some of their new ones... I think some of them are great.. 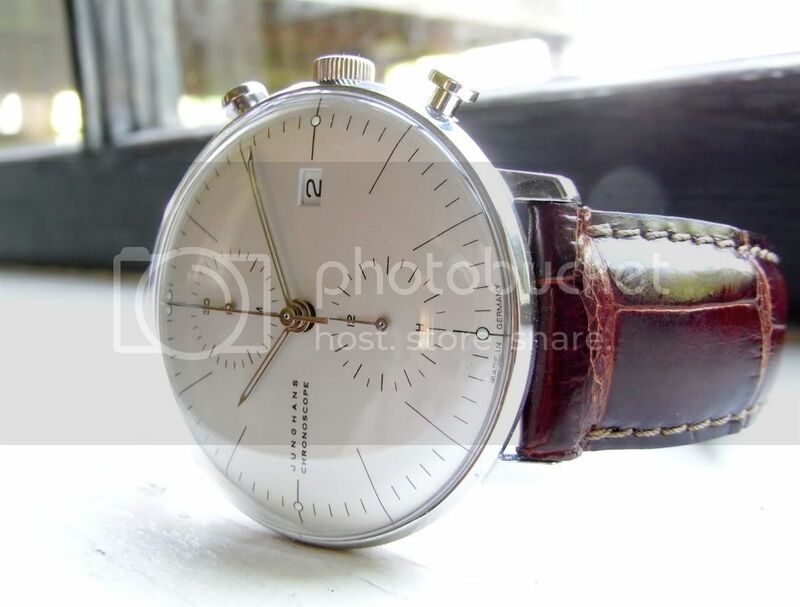 I get more positive comments on this Junghans, especially from non-WIS's, than all my other watches combined. I like to wear it when hobnobbing with my Architect colleagues - they appreciate the wonderfully restrained minimalist design and the Bauhaus pedigree. Personally, I rather wish they'd chosen something other than the Val 7750-derived motor. 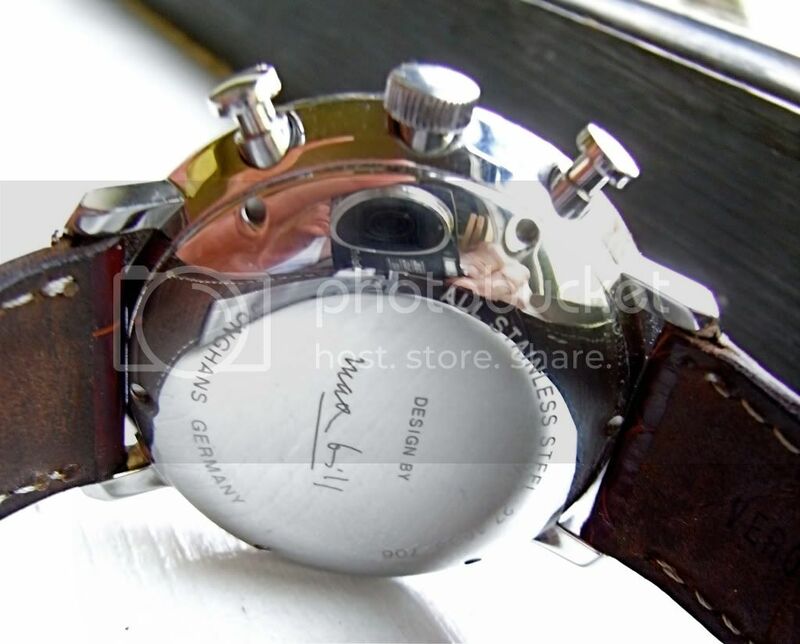 This famously thick automatic movement makes for a somewhat bulbous backside. Ordinarily, I'm a big fan of a rounded derriere, but in this case it tends to hover the slim flying-saucer case rather higher above the wrist than a comparable handwinder might. Completely OT, but it was the kind of thing I used to wear before I got involved with you lot. Minimalist. Bauhaus. Timeless. This one, for example, is a basic quartz made by some Germans called Grus. So minimalist, they left the branding off completely! That's well outside of my normal taste but I really like it. The crystal does look very exposed, do they damage easily? It has acquired a couple of little scuffs so far, but I'd say it's really no worse than any other domed acrylic. 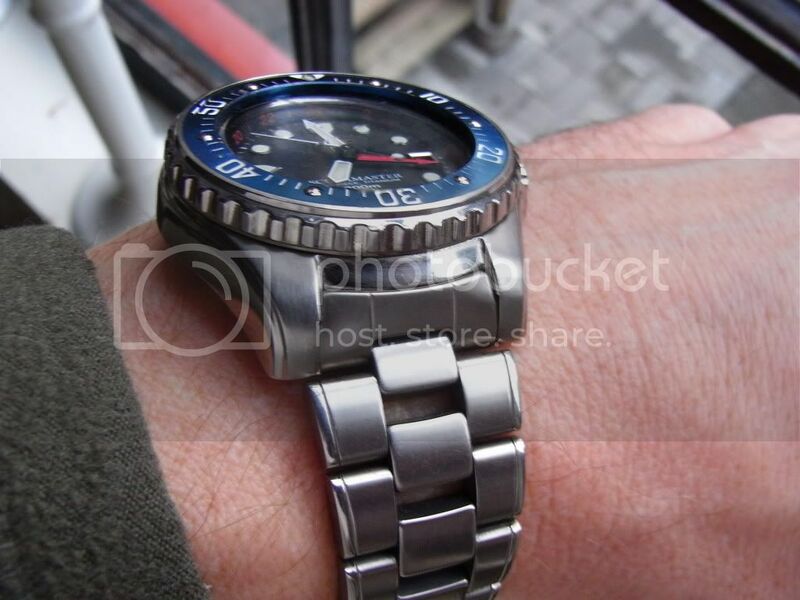 I generally wear it as a 'dress' watch, so it's exposed more to the gentle hurly-burley of my social calendar, rather than the abrasive rough and tumble of my working week. Thanks, I think I could live with that. I'm used to acrylic so it shouldn't be a big deal for me.